Calling all citizen scientists! 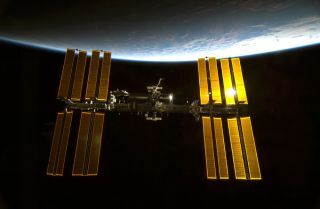 The nonprofit organization that manages American-led research aboard the International Space Station announced the winners of its public contest to design experiments to send to the orbiting outpost. The Center for the Advancement of Science in Space (CASIS) held a month-long contest, called "What Would You Send to the ISS?" to cultivate interest in the orbiting laboratory, and to solicit ideas for how to use the facility to benefit humans on Earth. The grand prize winner, Elizabeth MacDonald, proposed flying a geo-tagged video camera to the International Space Station to record real-time images of the northern and southern lights. For winning the contest, MacDonald will receive $10,000 and a trip to Florida to witness the launch of her idea to the space station. "I am very excited to have won and grateful to CASIS for this amazing opportunity," MacDonald said in a statement. "The Aurorasaurus citizen science project aims to connect observers of the northern lights in real-time using social media, allowing more people opportunities to see their extraordinary beauty. Incorporating observations from the orbiting space station will be a unique vantage point and tremendous resource for our growing community." CASIS was selected by NASA in 2011 to manage the space station's U.S. National Laboratory. The organization is responsible for maximizing use of the onboard facilities while the space station remains operational, which NASA officials have said will be until at least 2020. The contest was held from Aug. 19 through Sept. 16, and members of the public were invited to vote for the best ideas. Those votes were tallied with responses from the CASIS Science & Technology Advisory Board. This entry suggests using microgravity to better understand movement within fluid droplets as it relates to Earth-based 3-D printing, personalized medicine and microelectronic circuits for semiconductors. Larger fluid droplets can be made in microgravity and analyzed to yield higher resolution data. This idea seeks to improve the small satellite capabilities of the ISS National Lab by on-orbit manufacturing of CubeSats. By combining 3D printing and Arduino technology (small microcontrollers used in electronics) in space, the ISS can be a manufacturing platform. This could be particularly useful for improving response to time-critical events, such as satellite imaging of natural disasters. This entry suggests improving materials science capabilities on the ISS National Lab by sending metal-melting furnace hardware to space. This could help in the analysis of existing functional materials and the discovery of new alloys for Earth applications. This entry suggests studying commensal (“healthy”) bacteria in space. Since microgravity alters the way bacteria grow and interact with each other and their human hosts, studies of these bacteria in space will inform us about human health and diseases like diabetes and Crohn’s disease on Earth.